Vilhelm Moberg’s Unto a Good Land continues the story of Karl Oskar and Kristina Nilsson’s band of Swedish emigrants from Småland, southern Sweden, from New York where the group landed at the end of the first book in this series to Washington County in Minnesota, near Stillwater. The group make their way by riverboat, train, steamboat, and oxcart through northern New York, the Great Lakes, and through the upper midwest by water and then to their final destination at Taylor’s Falls by ox cart and on foot. For only a portion of the journey, until they reached Detroit, did they have a Swedish-speaking guide. Moberg’s descriptions of the challenges the group faced–to communicate with others, to find food and other essentials with the little money they had, and to discover what they must do to claim land in order to establish themselves–effectively put the reader in the settlers’ shoes. I felt the hunger and pain Kristina felt when she had little to give her children to eat on the journey. But the challenges didn’t end even when Karl Oskar found land for them to settle. The group arrived so late in the summer, there wasn’t enough growing season left for crops. There was only time to build shelter to protect the family from the cold of the winter just ahead. The core group of settlers who had gone through so many hardships together did not remain together once they reached Minnesota. Karl Oskar’s brother, Robert, and his friend, Arvid, set out for California, leaving Karl Oskar’s family behind with one fewer farmhand to break up the land. The different images each of the immigrants had of America’s promise began to separate, rather than unite, them. Even those who chose to remain to claim land to farm in Minnesota ended up at a distance from one another, which brought another challenge, loneliness. Moberg’s story continues in two more volumes, Settlers: Book 3, and Last Letter Home: Book 4 . The first volume in the series, The Emigrants, details the conditions of life in Sweden that led to the Småland group deciding to make the long and dangerous journey by sea to New York. Moberg intended the four volumes to be read as one continuous story. 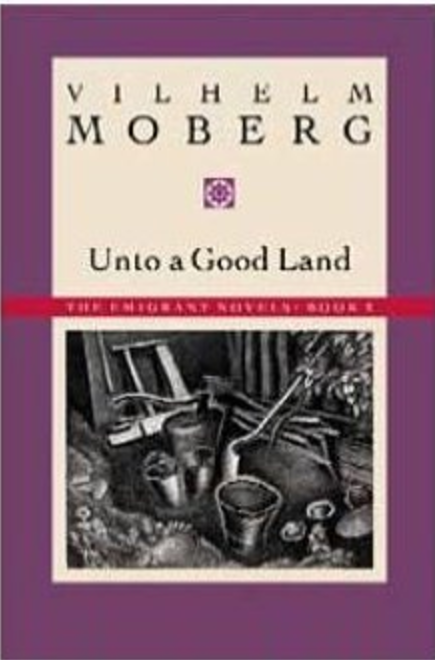 Having read two of them, I am impressed that Moberg manages to tell a complete story in each, allowing the reader to begin with either The Emigrants or Unto a New Land without the feeling that something has been left out. Nonetheless, I plan to read all four books to see how the story ends for each of the original emigrants. 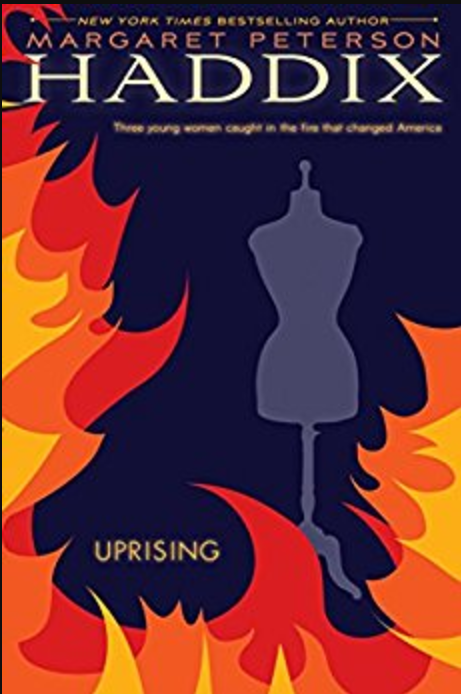 The young adult historical novel, Uprising by Margaret Peterson Haddix, is a well-researched and well-written story of immigrant teenage girls forced to take on adult responsibilities without protection from family or education. One of the three chief characters is the exception–she has abandoned the wealth and advantages of her birth when she realizes her father considers her only as having value as the wife of a promising business partner. It is easy to forget that the girls are only teenagers. 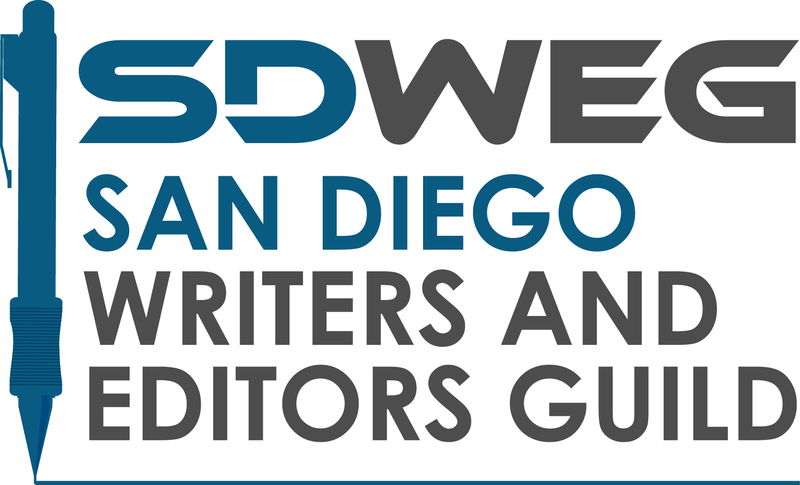 The contrast between the main characters’ lives and the circumstances of the likely readers of the same age of today make this novel an excellent introduction to a time before women had the right to vote and workers had guarantees for workplace safety.